We’ve been saying it over and over again, video for marketing is not going away. In fact, it continues to be one of the best ways to reach your Clients and Customers. And video continues to have an ever-growing impact on SEO trends. Invodo’s Video Statistics: The Marketer’s Summary 2014 highlights’s “the latest and greatest video statistics that show why e-commerce video works and how shoppers engage with video. Also included are video trends for social media, digital advertising, and mobile, as well as four things you can do now to improve your video marketing.” A recent article by Sabrina Cote, Social Media Marketing Manager for Brainshark spins off Invodo’s report to list 10 Powerful Video Marketing Statistics (and What They Mean to You) which we’ve reposted below. With video projected to account for nearly three quarters of all internet traffic in just a few short years, it’s crucial for marketers to flesh out their video content strategies early on. This means identifying the types of video content that are essential to a diverse strategy, then building the right creative team to execute on those plans. For inspiration and tips to help develop your video marketing strategy, check out our new Video Marketing Resource Page. Marketers are placing extra weight on the importance of video in determining the ROI of their content marketing efforts and rightfully so. With the help of video analytics, marketers can learn not only that their content was viewed, but how much of their content was viewed, in what order, from what geographic location and much more. They can then use this insight to gauge the success of their content, and improve on their strategy going forward. With retention rates for video content far outpacing those of text-based content, it’s clear that video is the preferred communication style for viewers. Marketers can embrace this trend by not only developing new video content for their audiences, but also by transforming existing text-based content into rich and engaging video content assets. Turn a data-laden report into a video infographic, create attention grabbing video invitations to promote events, and with the help of a simple voiceover, convert customer case studies into authentic, video testimonials. When search engines return results, webpages that contain video appear more prominently since they contain an eye-catching thumbnail image of the video which ultimately encourages more clicks. Google in particular places an emphasis on content that engages, educates and incentivizes users to stay on a website – all things that video does well, and can be used as a vehicle to help your webpages rank higher in search. For more tips and strategic advice around video SEO, check out our eBook. Not only is video content preferred by viewers, but it’s also already popular among marketers with an overwhelming majority already using video content for a number of functions. Of the many benefits of video content, one of the greatest is the ability to efficiently repurpose and combine segments of existing video, to create an entirely new communication to reach new audiences faster. This way marketers can create once, yet produce multiple video content assets that can be embedded on their website, shared in personalized email campaigns, and used to communicate with their sales team, existing customers and more. As inboxes are continuously flooded with email marketing messages, it’s more important than ever for marketers to find ways to stand out from the pile. Video is the perfect medium to do just that. Replace those busy, text-heavy emails with a simple introduction accompanied by a video to communicate the rest of the message. 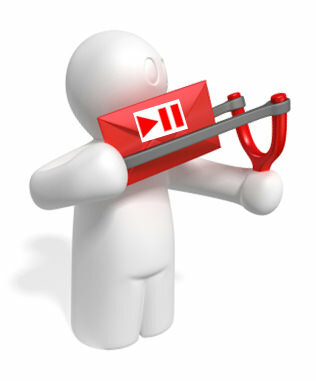 Video in the body of an email can catch the attention of a casual inbox pursuer, and increase the likelihood that they will engage with the content in the email. Not only are retention rates higher for video compared to text content, video gives marketers greater insight into exactly how much of their content was viewed – something that’s difficult (if not impossible) to glean from traditional email communications. Video has become such a powerful communication medium that just using the word video in an email subject line can have a positive impact on the success of a campaign. With an increasing number of communications demanding viewers’ time and attention on any given day, video’s reputation as an efficient way to communicate important information succinctly inspires more viewers to prioritize emails that contain video over those that do not. 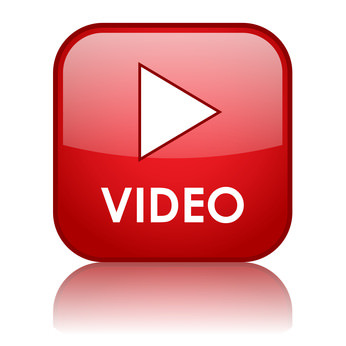 Video has fast become the preferred content type for sharing information via social media. Whether it’s short form video and creative pieces for the more visual social channels, or video featuring professional content to enhance a brand or an individual’s presence on LinkedIn, video content is king when it comes to social media. As mobile devices become the primary computing devices for more and more people, it makes sense that they also serve as a key means of viewing video content. In fact, mobile video engagement is predicted as one of the top social video trends that will continue to grow in 2014. In addition to video’s popularity among tablet owners, smartphone users also rely heavily on video as a preferred communication method and also as a tool to inform their purchasing decisions. In fact, 69% of smartphone users surveyed said videos are perfect for smartphone viewing as they offer a quick overview of a product. 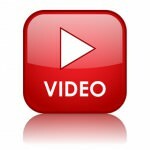 Check out our other posts on video marketing. You’ve heard it used – that term – the “explainer” video, aka the “overview video”. Like so many other new media terms – tweet, content marketing, mobile app, to name a few – it’s something you’re interested in, but you’re not sure how to qualify it or whether or not you need it. An explainer video is just that: a video that introduces a new product or company and explains what it’s all about. They are usually short, about 1-2 minutes, and should answer a few fundamental questions in a direct, conversational way. The video should explains what solution the product offers, and why the viewer should want to use it. If it’s for a company, it should quickly tell what makes your company unique. It is is simple, direct way to engage potential customers without taking up too much of their time. Why should you use explainer videos for your products or services? Simply put, video can reach more people in shorter time, and more directly that reading thru pages of text. An engaging well-crafted video message used as part of a strategic marketing campaign can convert viewers into purchasers. This message is also easily re-purposable for media and PR use, can get used by reporters and clearly states the message that YOU want passed along because you were able to carefully control the video’s message. SEO and marketing professionals have called explainer videos a secret weapon and much research continues to points out that webpages with video return higher rates of conversion and purchasing. Need an overview or explainer video? We can help. Give Miceli Productions a call at (203) 936-7761. Miceli Productions creates industrial videos for many disciplines, including manufacturing and healthcare. We are sensitive to the needs and specialties of our clients and can provide references for your piece-of-mind. Industrial video is a necessity in today’s visual world. 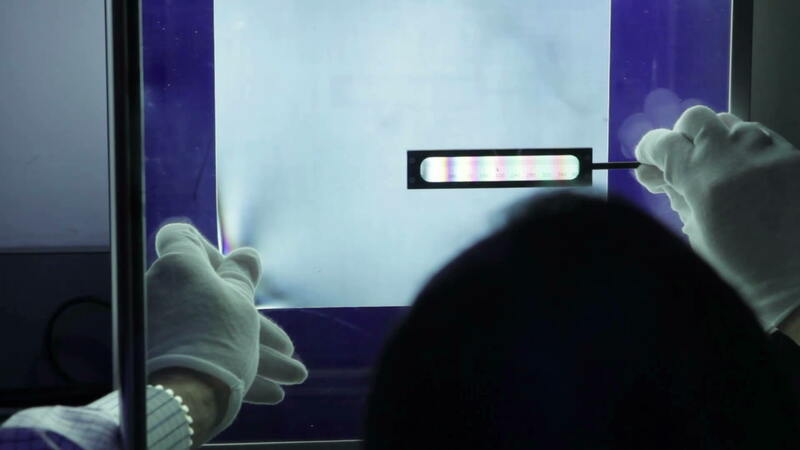 Video productions for industrial video range from trade show videos, product demos, training videos, and company announcements to marketing videos that are sensitive to trade secrets and venture capital fundraising. Today, the need for high quality video production in industry is tremendous. Miceli Productions has worked extensively in many manufacturing, technology and industrial settings and we are familiar with the special needs of industry – keeping trade secrets out of video footage, non-disclosure agreements for our crew, filming in clean room settings, and capturing close-ups of your processes and your people. Like all filmmaking projects, industrial videos go through the standard phases of development, pre-production, filming and post-production. Throughout the process, we work with our Clients to meet their needs. We can help find the right technical writers or subject matter experts (SMEs) for the project and then take their script, capture the needed visual elements and put it together into a final finished video. Need b-roll for your next marketing or PR project? Give us a call, (203) 936-7761. Miceli Productions films B-Roll video for media packages & public relations. B roll is footage that we capture during a video production that helps us tell your story and demonstrates what you do. B-roll is the additional footage we capture to tell your story. It does not include a person being interviewed or a talking head on screen. It’s the footage you get to cut to, and it’s key in making your story interesting! B-Roll allows for greater flexibility when editing, instead of featuring only talking heads on video, you can show the environment around them – their office, demonstrating business activities, and people doing what it is they are talking about. B-roll can include additional video footage, still photos, animation or other graphic elements. Why is b-roll so important? It’s a key way that you can demonstrate your services and products and visually show them to potential customers. That makes good B-roll critical for marketing videos, business overviews, explainer videos, product showcases, service demos, public relations videos and fundraising pieces. Video productions that come away with good b-roll can cut together an on-target message for you in the post-production studio. LinkedIn isn’t just a resume building site. It is a professional, social networking site that allows you to gain credibility in the market share as well as leverage search engine optimization for your business’s website and other social media platforms. LinkedIn strives to ensure authentication and verification of a business, therefore making your online presence trustworthy. “What LinkedIn is, is an awesome tool that is underleveraged by businesses in general. It’s a great tool to build more relationships with existing customers and it’s an awesome tool to use your customers to connect with prospects,” says DJ Muller, president of WebLink International. Create a personal and a business/company page. While you should post statuses on your personal page, and keep your resume and stats up to date, be sure to have a company page as well that is strictly for business postings. Encourage your staff to add the company page on their LinkedIn profiles as well. Ask for recommendations. Once your company page is set up, reach out to your clients and professionals you have worked with to recommend you for key services. You may be asked to reciprocate recommendations, so keep that in mind as you decide who to ask. Also, be intentional and specific when you ask for recommendations. Give a behind-the-scenes look at your company. If your company actively blogs, repost this on your LinkedIn page. If your company is not blogging or writing articles, Muller suggests posting about company events, fundraisers, “insider” looks at products, featured company employees, and more. “It adds more color to your page…While these posts may not be filled with useful tips, they will still help establish a more personal relationship with clients and potential employees,” says Muller. Post frequently. Google likes changing content. The more frequently you post, the more Google will crawl your sites and increase your SEO and Klout ranking. Reach out for introductions. According to Muller, businesses can use LinkedIn as a resource for identifying leads by combing through the contacts of current customers and employees. Once you’ve found potential clients, Muller says you should politely ask your customer for introductions, or directly contact the person. “You don’t want to abuse your customers, though. Do it in a way that’s respectful and not overly self-serving,” says Muller. Social media tidbits brought to you by Miceli Productions Photo & Video.